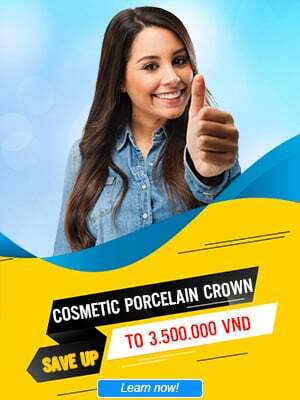 The process of dental pulp treatment at Nhan Tam Dental Clinic is performed by a specialist with the help of modern imaging equipment, combined with safe and painless anesthetic devices, provide a smooth and painless procedure. The process of dental pulp treatment removes the infected and dead pulp tissue. 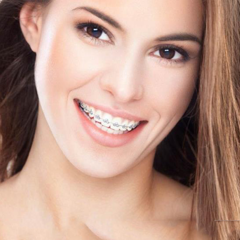 Treatment and cleaning of the canal help to prevent bacterial and plaque invasion. The doctor then proceeds to fill the canal to protect the teeth and surrounding structures. Why do you need pulp removal? 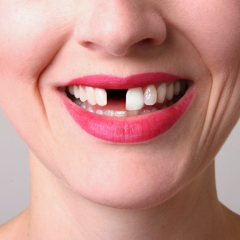 First, you have to understand what dental pulp is and when it needs to be removed. 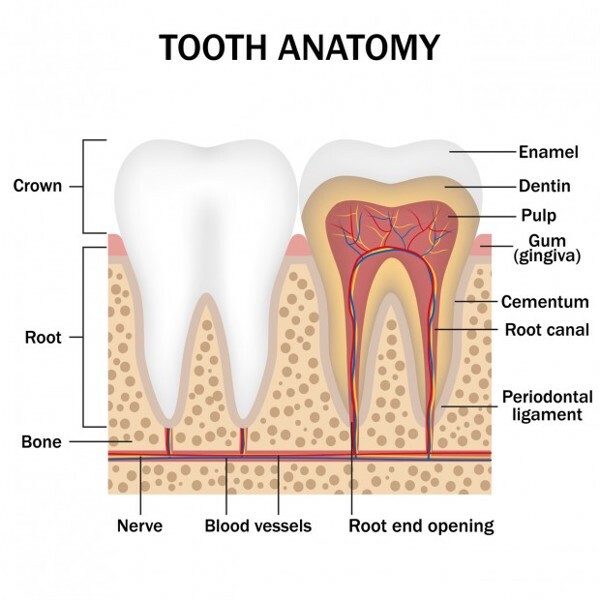 The pulp is a collection of nerves and blood vessels, located in the center of a tooth. Tooth pulp plays a vital role in nourishing and its sense. The pulp is also present in the crown and root, covered by dentin and enamel. Damaged, infected pulp is due to tooth decay, physical damage during dental restoration, oral diseases, etc. 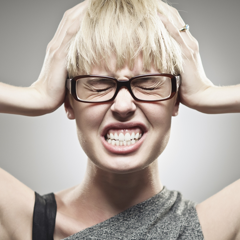 Tooth decay is considered to be the main cause of damaged pulp. 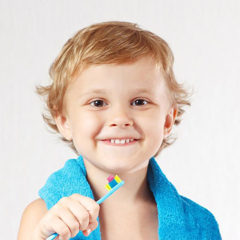 Long-term tooth decay will destroy the tooth enamel and dentin. 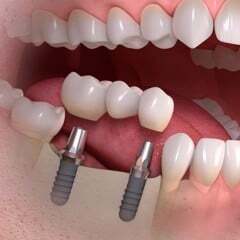 Without treatment, the hard tissues of the tooth will continue to be damaged until the progress reach the pulp. 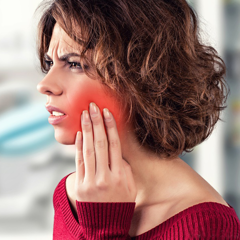 When bacteria reached the pulp, it causes infection, inflammation (pulpitis). Symptoms of damaged pulp can be swelling, pain or numbness, sensitivity when consuming food that is too hot or too cold. Some cases of minor damage, when eliminated the cause of inflammation, the pulp will heal by itself and does not require treatment. 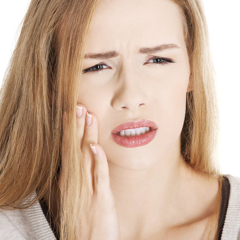 However, most cases of pulpitis need to be thoroughly treated. Because when the pulp is inflamed, bacteria will interact and cause intense pain, swelling and pus. Keeping the dead pulp tissue will cause the inflammation to become more severe, leading to tooth abscess around the root, blood infection, etc., affecting health and life. 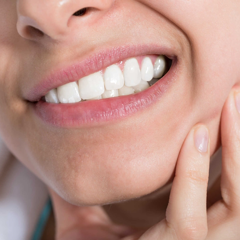 The doctor will proceed to remove the inflamed pulp and the infected tissue from the crown and root to prevent further bacterial infection, preserving the real tooth without suffering the painful symptoms caused by pulpitis. Patients will be examined directly by the doctor and assigned to take digital X-rays (if needed) in order to make an accurate diagnostic and then formulate a specific treatment plan. Cases where the pulp is completely dead, the doctor will proceed to remove the pulp directly without anesthesia. If the pulp is still good or only partially damaged, the doctor performs local anesthesia for the patient. Your doctor will use a specialized drill to create a small hole on the tooth that makes its way into the pulp cavity and root canal. Determining the length of the root canals (the length of the treatment tooth) by an apex locator then proceed with a system of modern dental files, cleaning the pulp cavity and root canal. After the pulp cavity is completely cleaned, it will be filled with a material called Gutta Percha. 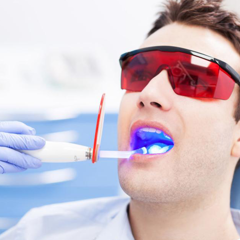 Digital X-rays photos are taken to ensure proper filling of the tooth. 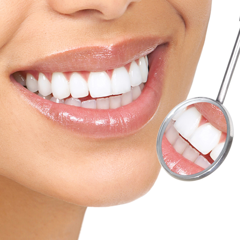 The doctor will schedule an appointment to examine and do a finishing filling or prescribe dental crowns if needed. 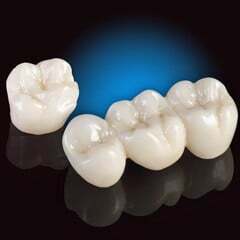 After pulp treatment, the tooth tends to be brittle, fragile, discolor. Therefore, to avoid cosmetic loss later, patients should have a reasonable diet, avoiding hard food, etc. 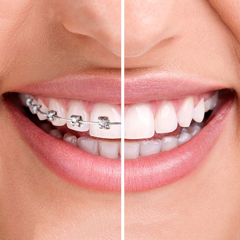 In addition, you may also consider dental crowns or veneer to ensure cosmetic for the teeth. If you have any questions, please contact Nhat Tam Dental Clinic directly for a detailed consultation by expert free of charge.